This is a tale–and not a tall one–of one dynamic individual, Matt Flaherty: the runner, the artist, the brewer, and the mustached man. On April 6, 2013 I woke up in Sacramento, California long before the sun rose. I was scheduled to run the American River 50 Mile and I was nervous because I wanted to win and I knew it wouldn’t be easy; Matt was also on the starting list. I had never met him but I knew about his running pedigree. Matt and the author after the 2013 American River 50 Mile. Photo courtesy of Eric Senseman. At the time he had a 2:22:53 marathon PR; he also had a 3:16:55 personal best at the 50k distance and had finished third at the 2011 Ultra Race of Champions (UROC) 100k, behind only the likes of iron Michael Wardian and the great Geoff Roes; just seven days before UROC, he had won the 2011 The North Face Endurance Challenge Wisconsin – 50 Mile in a then course-record time of 5:59:39. For an ultrarunner, the guy had run crazy-fast times at shorter distances too, boasting PRs of 1:09:05 in the half marathon, 51:54 in the 10 mile, and 15:15 in the 5k. Today his PRs are even stouter, 3:16:55 in the 50k, 2:21:20 in the marathon, 1:08:17 in the half marathon, 50:34 in the 10 mile, and 14:59 in the 5k. Baby Matt Flaherty. All photos courtesy of Matt Flaherty unless otherwise noted. But the mustached man and Springfield, Illinois native was less intimidating in person than on paper when I first met him in the pre-dawn hours of a cool California morning: he was reserved and unassuming; his slender build looked almost frail while his quiet demeanor and soft tone failed to convey the strength and confidence that I might have expected from such a first-rate runner. He chose his words carefully and tersely, and then he quickly and casually slipped away to warm up before the race start. A little over six hours later he crossed the finish line first in, given his talents, a modest 6:08:18. Thirteen minutes later, when I had finished and the competitive tension no longer hung between us, he greeted me warmly. No one was catching Matt that day, despite his lack of training volume due to an injury that sidelined him for most of 2012, and most days nobody does. He has won three of his first seven races in 2014, covering distances from 5k to 50 miles, including his newly minted marathon PR of 2:21:20 at the 2014 Boston Marathon. Matt showed glimpses of his running prowess at an early age: he ran the fourth-grade mile during gym class in 6:22. Despite that initial indication of talent, it was only with his mother’s insistence that he decided to pursue running. He didn’t show much promise in any other sports. In his words, he is “pretty much terrible at all of them,” so it probably didn’t take much urging to keep him on the running path. He found a lot of joy in running on a team, too. In junior high, he and his teammates would split up and try to bring back the best item, sort of like a scavenger hunt. On one occasion, Matt returned with a dead pigeon after hauling it three miles back to campus. In high school, he and his teammates would run through the woods during the winter, find a group of deer, and chase them around for a few hours. “We weren’t the most serious runners,” Matt says with a laugh. Matt’s mother encouraged him to keep running while his father inspired him to grow a mustache. Despite his self-proclaimed lack of seriousness, and the fact that, according to him, “I wasn’t obsessed with running, or really into it,” he saw early success when he ran a 5:11 mile as a sixth grader. Matt continued to run impressive and increasingly faster times throughout high school and into college where he competed in middle-distance events at the University of Illinois until he graduated in 2007. Regardless of his strong finishing times on paper, he says he was “running pretty poor times for a Division I college runner” and felt he had underperformed throughout his high school and college years–that he wasn’t reaching his potential. Competing for the University of Illinois during his college years. Matt first pursued the marathon distance within a year after finishing college and hoped to meet the Olympic Trials Qualifying Standard but moved off the roads and onto the trails before too long. The sport of ultrarunning is pursued by many people for many different reasons. Ultrarunning interested Matt because he wanted to know what was possible, what he was capable of, and how far he could push his limits. In the summer of 2007, he worked in Montana’s Glacier National Park. Between undergraduate school and law school, he took the opportunity to enjoy himself and explore one of the beautiful places that he had visited with his family when he was a kid. While there, he spent his off days and most of his afternoons after work doing long, peak-bagging, solo adventures in which he would run up the trailhead to cover more ground before mountaineering his way to the top of a peak. He also saved time by running, scrambling, and hiking from peak to peak along ridgelines, often covering, in his estimate, distances beyond the marathon. In one instance, he turned the corner on a remote trail to see a mountain lion staring at him. It scurried up the slope and Matt ran like hell for the next half mile, constantly looking back. On his return trip through the same stretch of trail, as he was picking up the pace, the (presumably same) mountain lion was seen up ahead trotting along in the same direction. Because Matt was running at a fast clip, and the mountain lion a leisurely one, he actually started getting closer and closer to the cat. Sure enough, Matt yelled, the cat scampered up the mountainside, and he made it back home without incident. His attention was soon drawn to formal ultrarunning events when he saw an advertisement in a running magazine for a $10,000 first-place ultramarathon prize. “I looked at the finishing times from the previous year and thought, I could easily run that [time] for 50 miles.” Of course, he didn’t realize that the course profile wasn’t exactly flat. It is said that the road to success is paved with disappointments, and Matt is no exception to that saying. Matt ran his first ultramarathon at the 2010 The North Face Endurance Challenge 50 Mile Championships (TNF EC 50 Mile), chasing after that $10,000 prize. He was in the lead pack through 28 miles before his quads blew out due to all the elevation change that he wasn’t as used to, and he jogged in the final miles to a 21st-place finish. If there is one thing you should know about Matt, it is this: he will pursue something until he has proven to himself that he has reached his potential. His current status as a professional runner comes from a foundation of disappointments that he has learned from. “If I fail at something epically, I want to go back and get better at it.” His disappointment in late 2010 was the first of several that have led to his more recent successes. 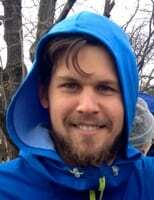 In 2011 Matt tasted disappointment again when he missed the Olympic Trials Marathon Qualifying Standard by a few minutes at the Grandma’s Marathon; when he went to seek redemption at the 2011 TNF EC 50 Mile he was met once more with blown-out quads resulting in 33rd place after spending much of the race in the front pack. But Matt saw shimmers of hope in 2011 too in the previously mentioned The North Face Endurance Challenge 50 Mile – Wisconsin (first, course record) and the UROC 100k (third), which were enough to land him a spot on Salomon’s U.S. team. Matt’s solid 2011 performances showed that he was a legitimate contender in the U.S. ultrarunning scene. Yet he was not complacent and he believed he was far from achieving his potential. After receiving his undergraduate degree in civil and environmental engineering at the University of Illinois, and after he graduated with his law degree from Indiana University in 2010, Matt had been working as an associate at Winston & Strawn LLP for a year and a half. He described his professional life at the firm as “a rat race” that consumed him. In an effort to free up his hectic lifestyle and improve to the best of his ability, Matt quit his job at the law firm in Chicago, Illinois to focus on running full time. Unfortunately Matt wouldn’t find out how much more he had in him for almost another year. A week after he quit his job, he injured his Achilles in a freak bike accident. After being sidelined for most of 2012, he returned to the ultra scene in early 2013. There might not be a more consistently impressive runner at the 50-mile distance than Matt since his return to ultras in 2013. Matt started his 50-mile tear two Aprils ago by winning the 2013 American River 50. The next month, he finished fourth in one of the deepest fields ever at the 2013 Ice Age Trail 50 Mile behind David Riddle, Brian Condon, and Zach Bitter. At the Cayuga Trails 50 Mile last June, Matt finished second behind Sage Canaday in 6:52:56 on a challenging course; in September 2013 he became the USATF 50-Mile Road Champion by winning the Tussey mOUnTaiNBACK 50 Mile in a national-class time of 5:28:11; a month later he became the seventh man in the 51-year history of the JFK 50 Mile to finish in under 5 hours and 45 minutes, finishing second in 5:44:37 to Zach Miller; then, this May, Matt eclipsed a longstanding course record (set by Brit-turned-Canadian-turned-US-resident Andy Jones in 1988) at the 2014 Ice Age Trail 50 Mile by four minutes en route to a second-place time of 5:49:13 behind Max King. “I was really proud to beat the old course record at Ice Age–that was high on my goals list,” said Matt. Matt’s 50-mile streak of top finishes continued two weekends ago at the 2014 Cayuga Trails 50 Mile where he finished third in 7:09 behind winner Chris Vargo and New Hampshire-an Tristan Williams on a self-described “tough day” with a course profile that boasted 11,000-plus feet of vertical gain. But last year was not all successful for Matt. TNF EC 50 Mile again got the best of him in late 2013 when he DNFed; his return to UROC last September was also a let down–he DNFed there, too. Matt’s disappointments tell us as much about him as his successes. He learned from his DNF at UROC that he can’t perform as well at altitude until he lives high. So he returned to racing at sea level the next month and won Tussey mOUnTaiNBACK 50 Mile. After his DNF at the TNF EC 50 Mile, he recognized that his training required additional and a different variety of hill work. So he included more of that in his 2014 training and ran the second-fastest time ever at the Ice Age Trail 50. It is no accident that Matt has performed so well in races over the last year: he uses his strengths, improves his weaknesses, and chooses races that are best suited to his skill sets. Matt has lived in Bloomington, Indiana for the last year–a quaint yet bustling college town where he has roots from his days in law school. Though he loves the mountains, he is a Midwest guy at heart and likes being close to his hometown of Springfield where his father lives and Chicago where his sister lives. In Bloomington, he believes he has found one of the most suitable areas to train in the middle part of the country. If you ran into Matt in the streets of Bloomington, you would never think that he was a top-level marathoner and ultramarathoner. You wouldn’t know that he is sponsored by several companies, that he can out run most people at almost any distance, or that he is (perhaps even at the moment you are talking to him) devising ways to improve his already remarkable PRs. He cruises around town on one of his antique bikes, drinks pints of beer in the early evening, and plays the guitar and blows into his harmonica on the front porch. Though he loves both drinking beer and running fast, it turns out that he isn’t good at doing both at once. If you challenge him to a beer mile, you will probably win. Playing a show with his cousin, Kellen. Matt and the author brewin’ beer. He writes, sings, and performs his own music, brews beer, cooks meals, bakes bread, and bums around a local coffee shop, often with his special lady friend (as he eloquently calls her) or as she says, an “other,” Beth. Beth is a sister of one of Matt’s good friends from law school and he and Beth developed a friendship several years back that turned into a relationship almost a year ago. With a full, well-groomed mustache juxtaposed with his shaggy, unkempt, long hair (or so his hair looks at the moment–it’s often changing), he probably appears to some as something like a clown. Inspired by his father from an early age, Matt revels in his recent ability to grow an upper-lip companion, which actually has a personality of its own now on Twitter (@FlahertysStache, a handle not controlled by Matt). Matt’s aspirations, drive, determination, fierce competitiveness, and dedication tell a much different story than his old-school mustache, his new-age hipster look (it should be noted that Matt would object to being classified as or called a hipster), and his carefree lifestyle. Every morning he is grinding the streets and trails around Bloomington; he is constantly teaching himself about every facet of ultrarunning; he is meticulously designing his training regime, thoroughly analyzing his strengths, quietly planning his future goals, and rigorously outlining his strategy for upcoming races. Matt and his special lady friend, Beth. We might have only seen the tip of the iceberg in terms of Matt’s potential, too. He has aspirations to run for the Salomon International Team, qualify for the U.S. Olympic Marathon Trials, set a course record and finish under 5 hours and 30 minutes at the JFK 50 Mile, and win the oldest, largest, and arguably most competitive ultramarathon in the world, the 56.1-mile Comrades Marathon. “I want to win it eventually. If there was one race in the world that I most want to win, it is Comrades. But I think you have to be a 2:16, 2:17 marathoner to have a chance of winning that thing,” Matt said. He will attempt to achieve his goal there for the first time next year after trying to achieve a 2:17 finishing time at Boston in April 2015. Lastly, and perhaps most ambitiously, Matt wants to eventually try to break the world record for the 50-mile distance, 4:50:51, held by South African Bruce Fordyce. Failing a world-record performance, his secondary goal is to break 5 hours at the 50-mile distance. He sees fall 2015 as the right time to shoot for a 50-mile world-record attempt, provided that things are going well and according to plan. “It sounds ridiculous to talk about, and maybe…” at which point Matt trails off and stutters for a few moments, before finishing, “…sort of boastful.” As he speaks, I am reminded of the quiet, reserved, unassuming, mustached guy that I first met. His personality and goals, though, are larger than life. Matt is a student of the sport and he has done his homework in setting these longer-term goals. They aren’t so far-fetched as they might seem. Cases-in-point: Matt ran four minutes faster on a tough Ice Age Trail 50 Mile course than Andy Jones and Jones boasts a 4:54:59 50-mile PR; Bruce Fordyce, who is considered by many to be the greatest ultramarathoner of all time and who won the Comrades Marathon an unprecedented nine times, was a 2:17 marathoner–not far off from Matt’s current personal best. You might not see Matt starting the Western States 100 in Squaw Valley or finishing the Hardrock 100 in Silverton any time soon, though. He is an intelligent, informed, and meticulous tactician who wants to fulfill his potential at what he does best. At the moment, he doesn’t run mountains or 100-mile races best because he isn’t able to train on mountains regularly and his focus remains, in part, on the marathon distance. But that doesn’t mean he won’t pursue longer and more mountainous races in the future. It will be fun to see what he can do once he is ready. Matt and his ‘stache are formidable forces. Matt is awesome! His guitar playing/musician skills are really top notch and many of his songs will be featured in the film "MUT Runner" (I begged him for some music last month and was blown away with his talent). Just an all-around great runner who very sharp, hard working and enjoys good beer! Good runner, good satchel, good article. Thanks.